On Saturday, April 8 and Sunday April 9, Camerata Nova’s singers will weave the glowing and intricate lines of Renaissance composers like Cardoso, Gombert, Créquillon and White as well as by a new composition by Artistic Director Andrew Balfour. Read more in the latest blog. The experience of listening to Renaissance polyphonal choral music is like being carried gracefully, perhaps effortlessly, along multiple vocal paths, following the choir’s persistent search for even more beauty. In your own living room, or listening to a recording while walking or driving, the music feels peaceful, comforting, revelatory. But hearing a choir as fine as Camerata Nova actually perform live a work like Missa Miserere Mihi Domine by Manuel Cardoso, and to be up close, watching them craft the complicated textures – that is an astonishing thing. Attending a rehearsal recently for Camerata’s Isolation concert, I was awed by the intricacy and challenge of this a cappella material. For the audience there will be joy, a glorious dance of vocal personalities; for the choir, an intense amount of work, building the splendidly profound architecture of the pieces. Just one aspect that might not occur to the average listener is how essential rhythm is to Renaissance music; what we notice is wonderful melody, but precision of pace is vital. And then there is the sombre, even bleak quality of much of this religious music. Robert White’s “Lamentations of Jeremiah,” for instance, presents the allegorical figure of the city of Jerusalem in deep grief, because the city represents human sin and the responsibility weighs on her heavily: “Look and see / if there is any sorrow like my sorrow.” This is a completely appropriate text for the approaching Easter season – if one is Christian – but to other folks are these words merely distressing or baffling? So the task of the choir is to make this music not merely about sin but also about courage. The need to express and sanctify grief, to give voice to the lost – and to give not just voice, but powerful voice – these are the elements that need to come across to an audience. This has to be living lyricism, even when it is about dying. Another challenge is that the members of Camerata Nova are singing, of course, Latin texts, and most of us have now lost the ability to fathom this ancient language. Yet: “Sing to the word,” conductor John Wiens nevertheless told the singers. Stopping for a moment and looking at his score, he condensed the overarching message of Cardoso’s remarkable and complex mass: “God: these are all the things you are. And these are all the things you do. You take away the sin of the world.” Wiens paused. 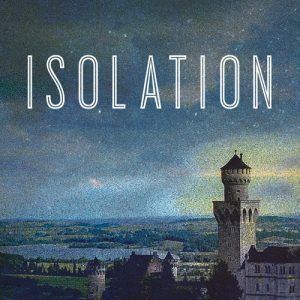 “It’s a big thing.” And while the average listeners at Isolation cannot translate the words on their own, the joyous reverence and healing sweetness will be unmistakable. Being close to an excellent choir in the lovely acoustic space of a church – and the upcoming concerts are at St. Alphonsus Roman Catholic Church, 315 Munroe, which is known for its exceptional sound – you notice that Renaissance music uses every single aspect of the human voice, and all the exquisite strands are presented – astonishingly – as separate and together. And all voices are valued. This is the splendour of polyphony: voices in constantly changing relation which nevertheless create a gorgeous unity. You will have, on Saturday April 8 (7:30 pm) and Sunday April 9 (3:00 pm), the privilege of watching and hearing Camerata Nova’s singers weave the glowing and intricate lines of Renaissance composers – and in addition, experience artistic director Andrew Balfour’s stunning composition Trapped in Stone. Like John Wiens, Andrew Balfour somehow completely inhabits this ancient yet living choral language. His composition sits comfortably and confidently beside the Renaissance masters he clearly understands so well: this new work is a thing of serious beauty.